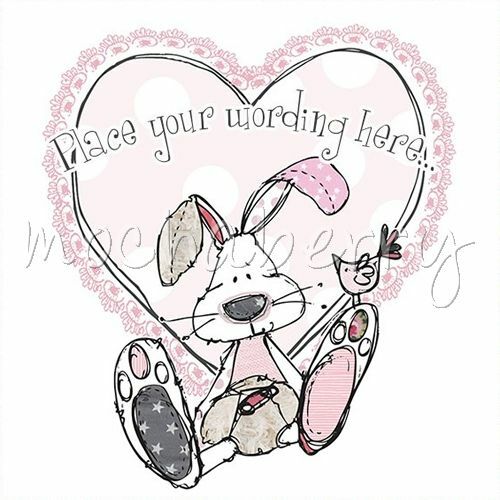 A gorgeous illustration of a baby rabbit alongside a sweet little bird against a pink heart background. Hand finished with glitter and various embellishments (not shown). suggestions for use: new born baby girl, someone leaving to have a baby girl, christening, 1st birthday, baby shower.